About two billion people in remote areas of developing nations have no electric lighting, a commodity industrialized nations take for granted. 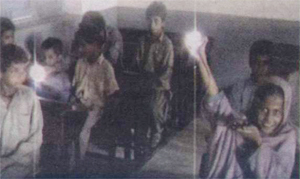 Poor lighting in homes hinders children's learning, affects family health and limits opportunities for a better life. A simple but revolutionary technology supplied to rural homes unconnected to the grid can light an entire rural village with less energy than that used by a single, conventional, 100-watt light bulb. The best applied science results in the solution of a common problem that people have either overlooked or felt it couldn't be solved easily. There is a lesson in this for those who seek out research problems in Pakistan. Our researchers often fail to identify doable problems because they are trained to mainly solve problems that interest others (usually their foreign Ph.D. supervisor's) rather than ones that affect their own society. With the kind of high efficiencies that coloured LEDs have it is inevitable that they will start being used in traffic lights soon. One hears that some foreign company has already started converting traffic lights in Lahore to LEDs. This process ought to be speeded up. The web is a wonderful tool for bringing us interesting and important ideas. 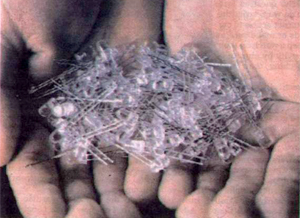 The early demonstration in a developing country of WLEDs was by Dave Irvine-Halliday who discovering them on the web. And I discovered his work also using this same tool. He is very keen to see this idea of lighting for the poor to spread to Pakistan fast. As I write, I have learnt that LUTW has a chapter in Pakistan; it started last November. LUTW (Pakistan) chapter has produced a video of Mubarak village (500 homes) which is only a couple of hours from Karachi, where they intend to launch their first project. It is gratifying to learn about the Pakistani-American entrepreneur Pervaiz Lodhie who has been a producer of LED products in the USA for many years. See www.ledtronics.com. His work on renewable energy use in collaboration with the National Rural Support Program can become a model for other such efforts in this country and globally. See www.pabe.org/Nrsp.htm. His support extends to the Alternative Energy Development Board (AEDB) which under it present plans intend to use these lights in 100 homes in a village not far from Islamabad. The current thrust to implement several large renewable energy projects in Pakistan by the newly formed AEDB (housed in the prime minister's secretariat, and hence signifying the importance being given to it) shows that the time is ripe for such developments. This project needs the blessings of several ministries, including that of the environment and science. For the WLEDs to be easily accepted by people social marketing and participation by communities is essential. The NGO-sectors role will be critical in its success. The Centre for Innovative Technologies, where I work, can provide the focal point for spreading the word to technologists and decision makers in 57 countries of OIC. Lighting up the homes of nearly a billion people who live in these countries is a goal worth adopting! The writer is the project leader of Comstech's new Centre for Innovative Technology, Islamabad. He was the founder project director of SDNP.